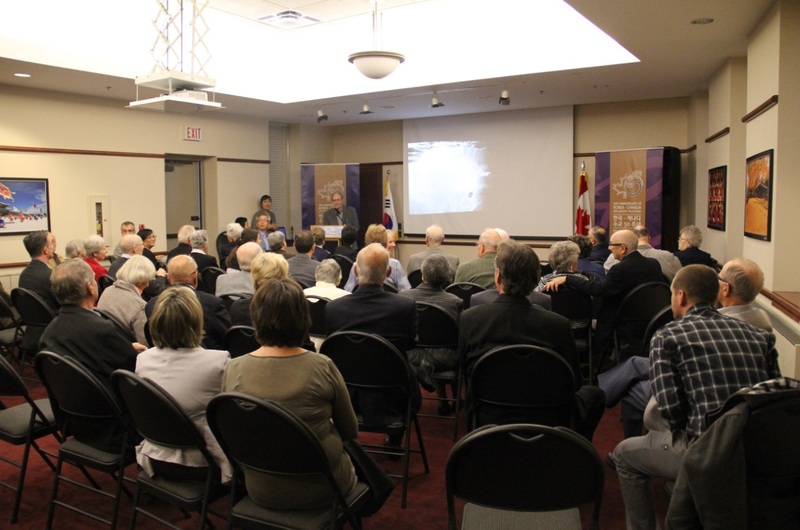 On Sunday October 6, the Embassy of the Republic of Korea held an exclusive special movie screening for the local Korean War Veterans and their families, as part of its Monthly Korean Movie Night. 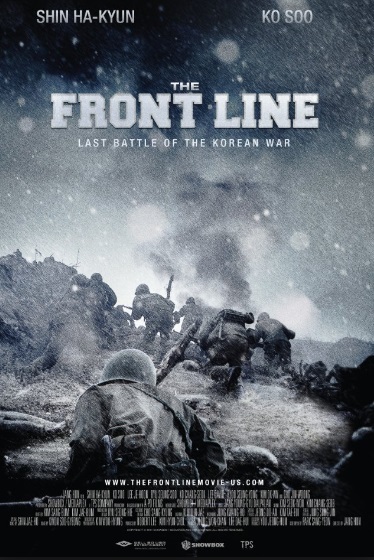 In commemoration of the 60th anniversary of the Korean War Armistice and the ‘Year of the Korean War Veteran’, the Embassy invited local Korean War Veterans and their families to a screening of ‘The Front Line’ (2011). This was an opportunity to further express the Korean government and people’s gratitude and appreciation for the sacrifices of the Veterans in defending the freedom of Korea and to reflect on the impact of Korean War through the perspective of film. Ambassador Cho Hee-yong, expressing profound gratitude to the Veterans for their sacrifice and valour, stressed that the Korean economic rise and democratization could not have been possible without the contributions of more than 26,000 Canadians who participated in the War and the 516 who paid the ultimate sacrifice. Ambassador Cho hoped that this film screening presented an opportunity to further appreciate the achievements of the Korean War Veterans. 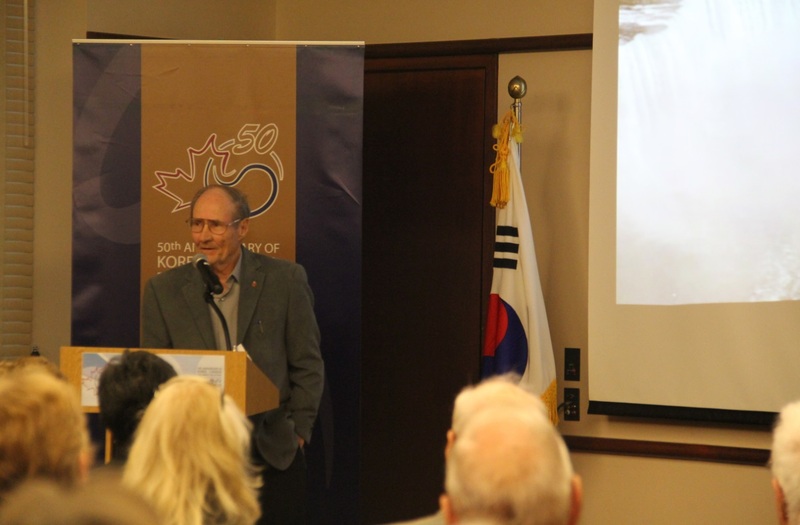 Korean War Veterans Association Unit 7 President Mr. Bill Black, recognizing the families and especially the grand-children of the Veterans who attended the screening, mentioned that the grand-children will get to know what their grandfathers have experienced in Korea. More than 60 Veterans and families who attended the screening praised the film as “powerful” and that they walked away with more appreciation for the War especially in the perspective of Korea. The Monthly Korean Movie Night at the Embassy will continue on Thursday October 24th at 6:00pm with a screening of “The Berlin File”.